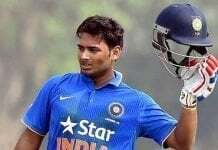 He came into the Karnataka State Cricket Association Media Room trooped by his family members and was smartly dressed in a White Shirt, Blue Jacket with his hair neatly combed sporting his usual boyish look just to bid adieu to International Cricket. He decided to call it a day after he was made as the target of several criticisms that came from various quarters. These were the aftermath of the disastrous Tour to Australia in 2012 where the Indian team failed to take a single test beyond the second session of the penultimate day. By the performance in that particular tour, he was in the firing line despite his breath-taking shows in the past. Still he worked hard and proved his critics wrong in the following edition of Indian Premier League where he led his team from the front to finish in the third spot. Even still some Cricket Experts and Maniacs feel that “But for Sachin Tendulkar, he is the greatest batsman to have played the game in the era that saw the likes of Ricky Ponting, Brian Lara dominating the opposition bowlers across the Globe”. One can’t find a perfect example other than this man, behind Cricket being called as the Gentleman’s game. After having a successful season in the Domestic Season, he was drafted into the International Plight during India’s 1996 Singer Cup in Singapore where he disappointed with the bat. But his Test debut was contrasting to the ODI debut. He was chosen in the team for the 1996 Test tour to England. 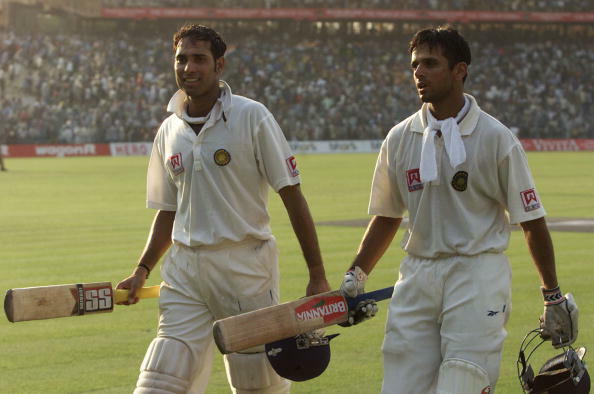 He made his debut in the Third Test Match along with Sourav Ganguly and made a valiant 95 as the latter went on to score a century. Since then he has been the main stay of Indian Batting Order in Tests. But in ODI’s, after settling himself in, he struggled to accelerate his innings towards the end. People labelled him Unfit to play ODI’s. He didn’t lose his passion and determination towards the game. That made him comeback stronger and silence his critics. He made the number 3 spot in the batting Line Up his own with his performances. In the year 1999, he created a World Record that is very difficult to be broken in the future. He became the only player to have featured in two 300 Partnerships in ODI Cricket – One with Sachin Tendulkar against New Zealand in Hyderabad and the other with Sourav Ganguly in Taunton in the middle of 1999 World Cup. He along with Sachin, Anil Kumble and Ganguly rescued the Indian Cricket from its Darkest Hour. Since then there was no turning back for the man who was hailed as “The Wall of Indian Batting Line-up”. 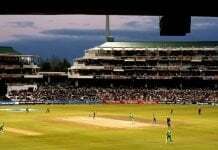 He is a type of player who had the temperament to play a solid innings when the Wickets are falling at the other end like Nine Pins. He had the tendency to value his wicket preciously that made the opposition bowlers toil hard for his scalp. Even Legendary Aussie skipper lauded his style of play by saying, “If u fail to get his wicket early in his innings, then try and get the remaining wickets”. He was made the skipper of the team in 2005. He was honoured by orating a speech in the Bradman’s Oration in 2011. He had a decent stint as a skipper as he won Test series in England and West Indies and at the same time, he led India when India were knocked out in the First Round of the 2007 World Cup. He then made way for Mahendra Singh Dhoni as the captain. He decided not to play ODI’s in the future to prolong his Test Career. In Tests, he remained the same player as he was a decade ago, making the bowlers toil hard for his wicket. In 2011 tour of England, he was at his best. Other than this man, all the other batsmen failed miserably. In the third test, he carried his bat in the first innings and came on to bat in 10 minutes for the second innings. He finally returned to the ODI team for one last time before quitting the shortest version of the game. In the process, he made his T20 debut against England. Then came the Australian Tour after which the Wall fell apart. He might have retired from the game but not from the fan’s heart. 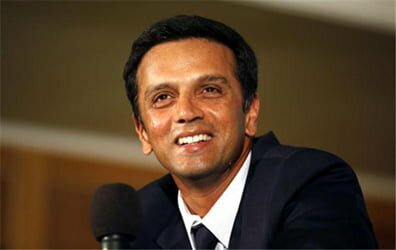 Finally i conclude by saying “One Cannot simply hate the The Wall of India – RAHUL SHARAD DRAVID”.